and rolling faster, more easily and with greater control. 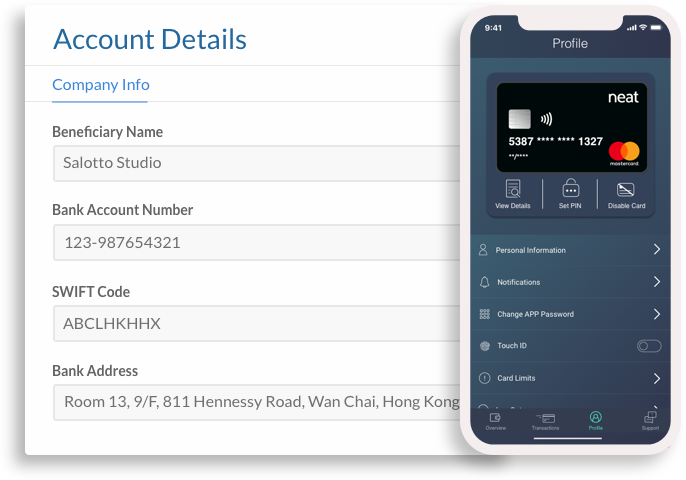 Get dedicated local payment instructions in your company's name in HKD, EUR & GBP. * Start receiving bank wires from customers around the world, without hidden fees. You can also make transfers to bank accounts locally and internationally. 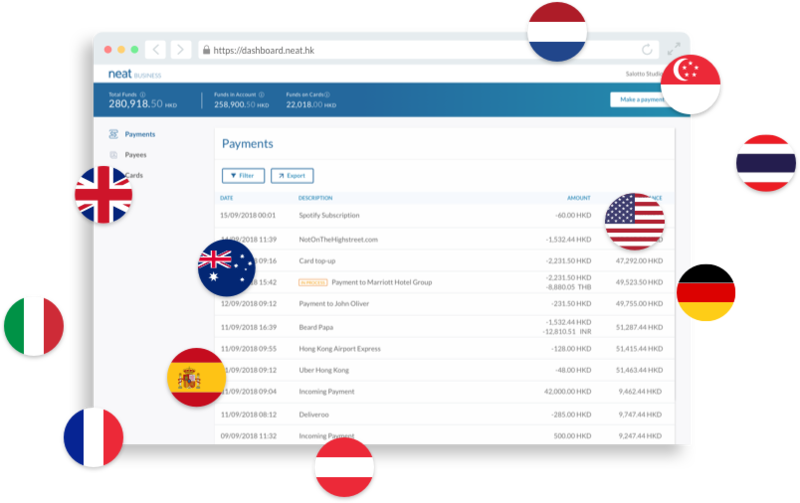 * You can receive other currencies, which will be converted to one of the base currencies. Receive payments from your customers and disbursements from e-commerce platforms. 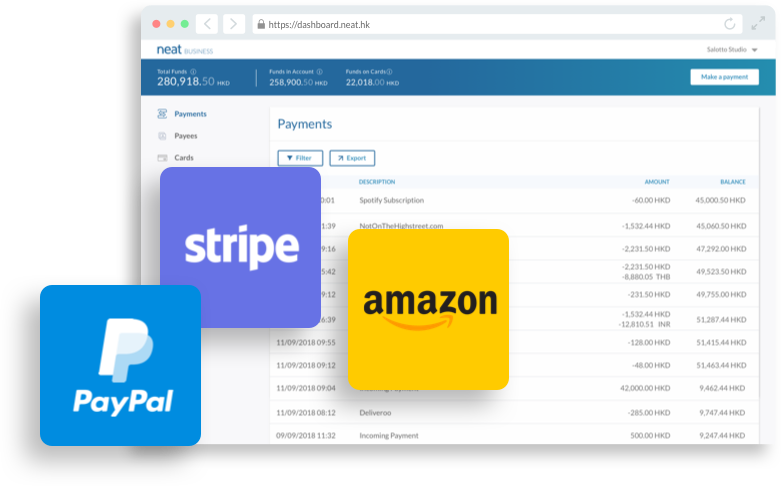 Stripe, PayPal, Amazon and others are all covered. The Neat Mastercard offers the best exchange rates. 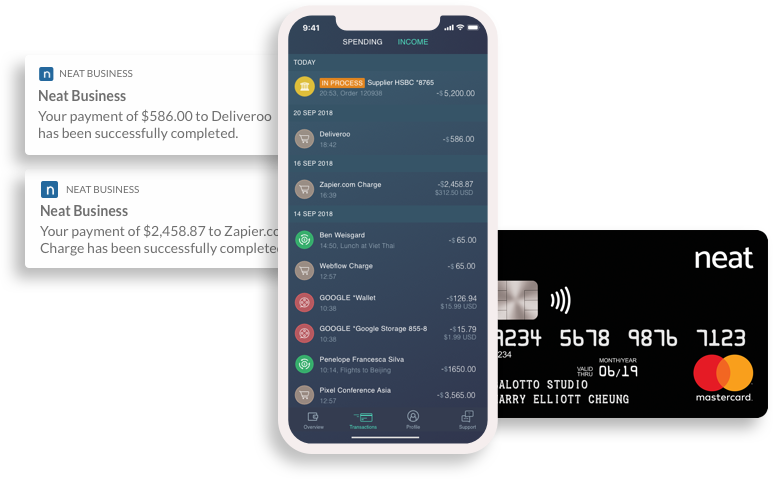 Assign expense cards and enable your team members to make online and offline purchases or cash withdrawals from ATMs around the world. Allocate custom amounts, and manage budgets for each prepaid card or department. Verify all transactions in real time for maximum control and seamless expense reimbursement claims. 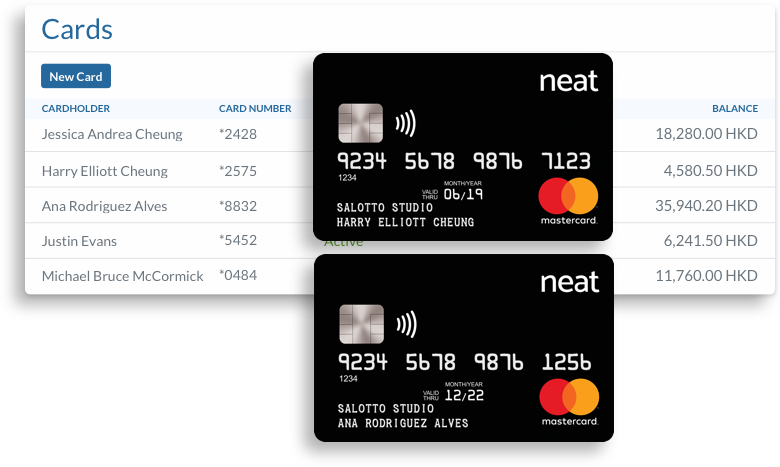 Every transaction is automatically recorded in your Neat Business account. 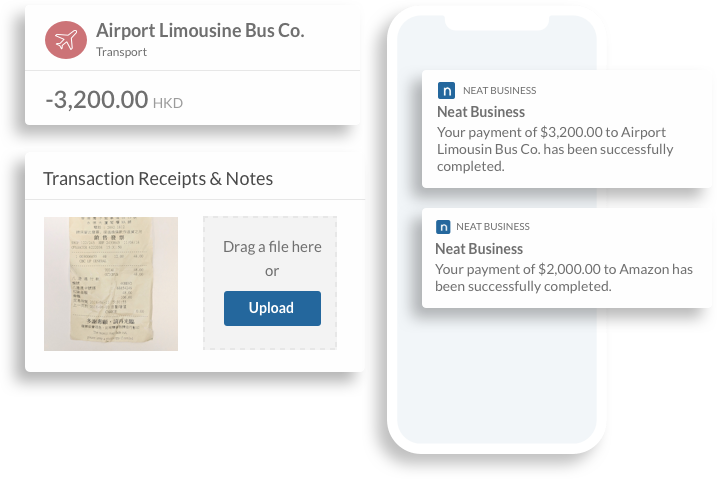 Your team members can effortlessly add photos of receipts, notes and tags while on the go from the Neat Business App. Say goodbye to tedious expense reconciliations with paper receipts. Make transfers locally in Hong Kong or internationally. It’s faster, easier and cheaper than a bank. You can set up payees in a matter of seconds and send them funds at the click of a button. Focus on growing your business, not time-consuming admin. Right now, you can import and export your transaction data to your accounting system. 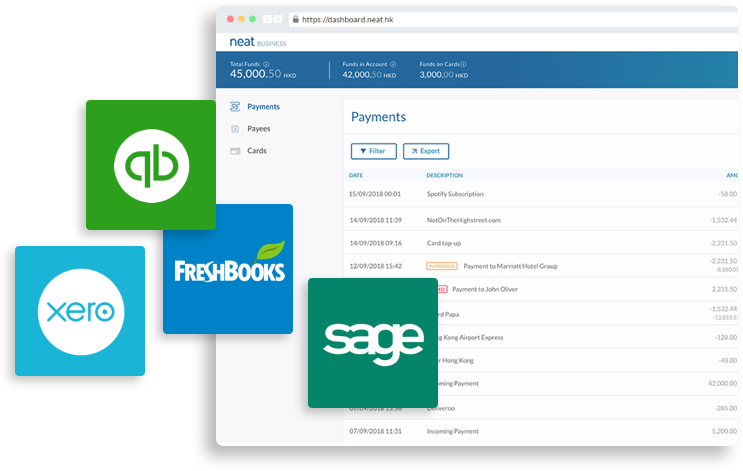 But soon Neat will be fully integrated with major accounting platforms to save you a lot of time and hassle. And only takes a few minutes to set up an account.